Albert Von Tilzer. Photo courtesy of the Indiana Historical Society. Albert Von Tilzer (March 29, 1878 – October 1, 1956) was an American songwriter, the younger brother of fellow songwriter Harry Von Tilzer. He wrote the music to many hit songs, including, most notably, "Take Me Out to the Ball Game". He was born Albert Gumm, in Indianapolis, Indiana. His parents, Sarah (Tilzer) and Jacob Gumbinsky, were Polish Jewish immigrants. As a young man he worked briefly at his older brother Harry Von Tilzer's publishing company, and Albert's earliest songs were published by Harry. Harry had adopted his mother's maiden name, Tilzer, as his own. He sought to make it sound even classier by tacking on the German nobiliary particle "Von." So impressive seemed the transformation that eventually all his brothers (Albert, Will, and Jules) had changed their last name to match his. Within a very few years Albert formed his own firm, The York Publishing Company. By 1913, Albert had closed The York Publishing Company and joined the firm of his brother Will Von Tilzer. 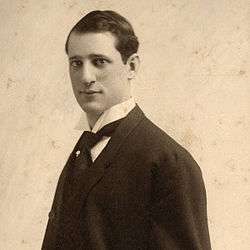 Albert Von Tilzer was a top Tin Pan Alley tune writer, producing numerous popular music compositions from 1900 continuing through the early fifties. He collaborated with many lyricists, including Jack Norworth, Lew Brown, and Harry MacPherson. A number of his tunes were performed (and recorded) by jazz bands and continue to be played decades later. His songs included "The Alcoholic Blues", "(I'll Be With You) In Apple Blossom Time", "Chili Bean", "Dapper Dan", "Honey Boy", "I May Be Gone for a Long, Long Time", "I'm Glad I'm Married", "I'm the Lonesomest Gal in Town", "The Moon Has His Eye On You", "My Cutie's Due at Two-to-Two", "My Little Girl", "Oh By Jingo! ", "Oh How She Could Yacki-Hacki, Wicki-Wacki, Woo" (interpolated into the show Houp La!, 1916, and recorded by Ida Adams), "Put on Your Slippers and Fill Up Your Pipe, You're Not Going Bye-Bye Tonight", "Put Your Arms Around Me Honey", "Roll Along, Prairie Moon", "Take Me Out to the Ball Game", "Wait Till You Get Them Up in the Air, Boys", "Tell Me With Your Eyes", 'Au Revoir But Not Good Bye, Soldier Boy", "Don't Take My Darling Boy Away", and hundreds of others. He resided in Beverly Hills, California. He died in Los Angeles, California. "Take Me Out to the Ball Game", by Jack Norworth and Albert Von Tilzer, sung by Edward Meeker for Edison Records in September 1908. The School Girl (1904) – musical; featured songwriter for "Lonesome"
Ziegfeld Follies of 1908 (1908) – revue; featured composer for "You Will Have to Sing an Irish Song", "Nothing Ever Troubles Me (Nothing Ever Ever Ever Hardly Ever Troubles Me)", and "Since Mother Was a Girl"
↑ "Harry Von Tilzer (Aaron Gumbinsky)". ↑ Jasen, David A. (1988). Tin Pan Alley: the Composers, the Songs, the Performers and Their Times. New York: Donald I. Fine, Inc. p. 50. ISBN 1556110995. ↑ Jasen, David A. (1988). Tin Pan Alley: the Composers, the Songs, the Performers and Their Times. New York: Donald I. Fine, Inc. pp. 50–51. ISBN 1556110995. 1 2 Jasen, David A. (1988). Tin Pan Alley: the Composers, the Songs, the Performers and Their Times. New York: Donald I. Fine, Inc. p. 51. ISBN 1556110995. ↑ Groves, Martha. "Beverly Hills saddles up for centennial celebration". Los Angeles Times. Jasen, David A. (1988). Tin Pan Alley: the Composers, the Songs, the Performers and Their Times. New York: Donald I. Fine, Inc. ISBN 1556110995. Albert Von Tilzer songs at Cylinder Preservation and Digitization Project – Enter "Albert Von Tilzer" in Keyword Search window. Sheet music for "Tell Me With Your Eyes, York Music Company, 1904.